This new version of the 1973 Procol Harum album has a lot of class. It includes the full album along with a number of bonus alternate versions as the CD. There is a second disc that's a DVD added to make this even more special. It comes in a nice digipack with a great booklet. 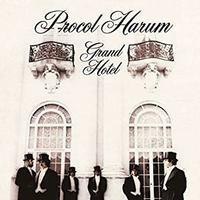 The album proper is classic Procol Harum. Folk prog, classical and more merge in arrangements that are often augmented with strings and chorale voices. 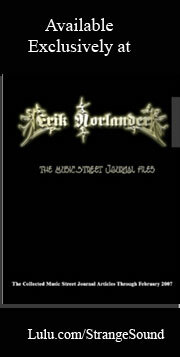 The bonus tracks (other than the first one) are all older recordings of a different lineup doing songs from this album. Those songs are more rock based and lean more toward the sounds of other prog rock bands. The DVD includes a number of songs recorded for Belgian television. It is a great audio and video time capsule and an excellent addition to this set. Starting as a piano based balladic number, this grows out into a powerful prog rock piece that's very cool. The number takes a shift toward the classical end of things with a strings and chorale vocals portion. A full classical treatment mid-track starts fast and then works out to evocative and powerful musical efforts from there. This is about as progressive and expansive as you can get. In some ways it shares territory with the band Renaissance. It gets back into the rocking zone further down the road with a particularly powerful movement. More of a rocker, this is still quite prog based. It's a powerful tune with a full arrangement and some great evocative moments. This is classy stuff and represents a different side of the band than the opener did. The first portion of this cut is based on piano and vocals and really works well. It grows into a full band arrangement further down the road and has some great trademark Procol Harum sounds in a cool prog rock treatment. Piano starts this number, too. It grows out from there in a tasty way. The arrangement twists toward more bombastic symphonic prog as it continues to evolve. This comes in with more of a folk music vibe. Drumming and acoustic guitars serve as the backdrop for the vocal. Some other old time musical elements emerge as things make their way forward. More of a rocker, the prog elements still abound. I love the fast paced soaring movement on this track. That said, everything here is great. There are some killer guitar parts on this number, and the keys are great, too. More of a traditional folk prog motif starts this number. This song is so beautiful. It is essentially an evocative ballad with a lot of strings and chorale vocals and other elements adding the magic. I love the faster paced more rocking segment later in the track. The rather operatic female non-lyrical vocals are a great touch. Bouncy folk styled prog opens this. The cut grows out into more of a mainstream prog rock jam that's quite catchy at points. There is a definite Island element to it at times, too. The symphonic movement later in the track is all class, too. As the parenthetical says, this is the song without the augmentation. It's really a testament to the band and songwriting that this cut is as powerful as it is without those extra things. This has more of a folk prog vibe in this format. I like this earlier version a lot. It's more of a direct rocker, and the synthesizer really adds a lot. It's more pure mainstream progressive rock. All that said, I think I prefer this take, but it doesn't fit as well with the sound of the rest of the album. The concept here is more of a direct driving jam, too. This is a killer tune. I think this version might have fit reasonably well on the main disc, and I prefer it, but clearly it's not the version they wanted there. I'm a big fan of harpsichord, and they bring that to bear here. For that reason and more I prefer this version of the tune. Don't get me wrong, the other one is powerful and effective. This just has more of a mainstream progressive rock sound that hits my areas of interest better. That jam that ensues as it approaches the two and a half minute mark is just so cool. I think I like the version on the album prefer more than this earlier one. It still has that same Island vibe and other elements, but the chorus section on the other version seems more powerful and catchy. Still, this is an intriguing alternate flavor to the piece. The keyboards on the closing section of this are great, too.